Are you preparing to move? If so, you’ll need a team of experienced professional movers! This is where Green Van Lines comes in. Our movers in Corinth are truly the best in the business. We offer affordable competitive rates for all our services. Our local movers in Corinth are trained and specialized in a wide variety of areas. Here at Green Van Lines, we employ superior moving technology, packing processes, and more! Contact us to find out more about our services. Do you need the assistance of professional local movers in Corinth? It’s time to call Green Van Lines. After all, our local movers are highly trained moving professionals with years of experience. We get the job done, and we get it done well. Long distance moving can be stressful – we get it! If you’re preparing to move across the country, Green Van Lines is here for you. We can even assist with international moves. Contact us to find out more. Green Van Lines also has auto transport services! We can move your vehicle at an affordable rate, no matter where your destination may be. Are you moving your commercial business? Here at Green Van Lines, we can successfully handle all your industrial and commercial moving needs. Our Corinth movers are here for you! Why pack up and move your own belongings when you can utilize a professional relocation service instead? Our team of residential moving experts can help you relocate in no time. Is your business in need of corporate relocation services? Look no further than Green Van Lines! 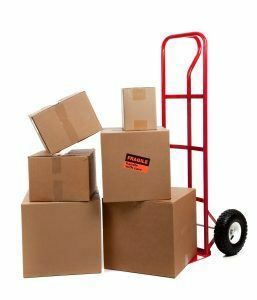 Our movers in Corinth can help make your office move as quick and painless as possible. Do you live in the area? Come to our Corinth branch! We can answer your questions and get you set up for your moving appointment. We serve entire Corinth, TX 76208, 76210. Corinth is a city in Denton County, TX – it is an affluent suburb of Dallas and is currently home to nearly 20,000 residents. The Green Van Lines moving team is proud to serve the community of Corinth!